1) What is post-consumer textile waste? Post consumer textile waste is comprised of all types of clothing and household textile articles. See the above description of post consumer textile specifications. All textile waste must be kept dry. Trans-Americas supplies containers to protect recycled clothing from the elements. 2) Will this program interfere with charitable donations? No, textile recycling will not compete with or effect charities. Textile Recycling is a final alternative to the landfill. Residents are encouraged to first donate their unwanted clothing to reputable charities. In fact, many towns we service have found that their textile program works well in conjunction with a pre-existing charitable program. Residents have a choice in donation. When municipalities incorporate textiles into their recycling program awareness is increased and often donations increase. EPA studies show up to 4.5% of our landfills are still comprised of textile waste. Although 2.5 billion pounds of clothing and household textiles are recycled annually, it is estimated that this represents only 20% of all textile waste. There is still a lot of work to do to make sure textile waste is kept out of our landfills. 3) How much do you pay for textile waste? Trans-Americas offers long term fixed prices with a floor price of $100 per ton. If the waste is of higher quality we adjust our price accordingly. 4) How can you guarantee a long-term fixed price? As an end-user Trans-Americas processes over 8,400 tons annually. Trans-Americas represents a closed recycling loop to any municipality. Similar to other recyclable markets, a partnership with the mill (Trans-Americas) helps to protect your textile waste from market volatility. For example: A municipality that generates 36,000 tons of municipal solid waste (MSW) annually will yield approximately 1,800 tons of textile waste per year. A conservative recovery rate of 10% will yield 180 tons of textile waste and generate a minimum of $18,000 annually for a municipality. This represents only 2% of Trans-Americas’ annual demand for textile waste. In a growing global market, Trans-Americas depends on your textile waste to feed our increasing need for raw material. 5) What are the costs of implementing a textile recycling program? None. Your municipality will not incur any costs. Trans-Americas supplies the containers and provides transportation of collected textile waste. 6) What type of tonnage will we recycle and how much revenue can we expect? Textile waste is very dense. Most municipalities find they recycle more tonnage than expected. Revenue from textile programs can account for as much as 8% of your municipal recycling revenue and decrease your per ton costs by up to 10%. Contact us with the size of your municipality, your location, and annual MSW figures and we will provide you with a tonnage and revenue estimate. Yes. Trans-Americas has been in business since 1942. We have all necessary insurance covering containers placed at your transfer or recycling center. 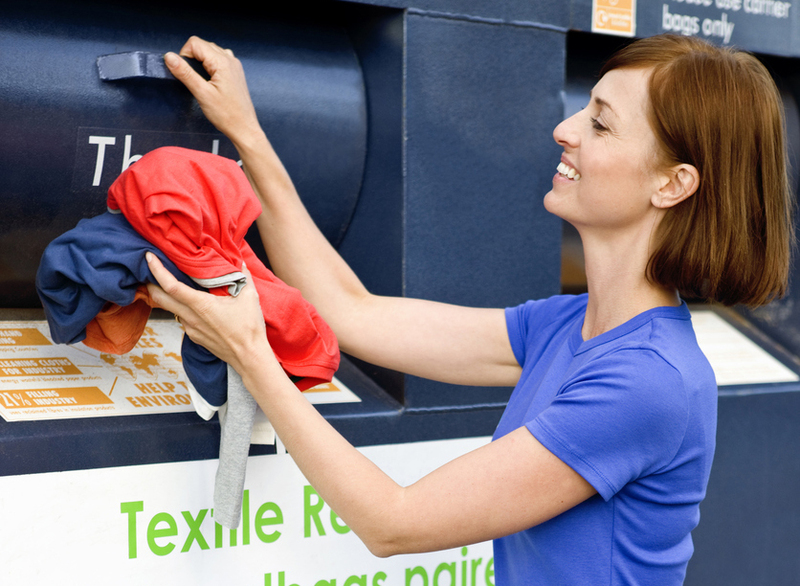 Textile Recycling programs are simple to implement. We will design a program that fits your needs at no-cost to the municipality. Textile recycling programs make an impact, generate revenue and reduce your per ton recycling costs.